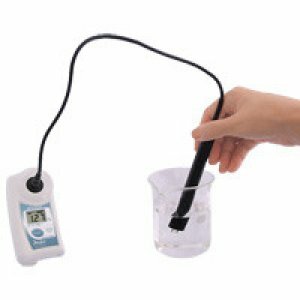 The PAL-SALT PROBE features convenient operation of submerging the probe in a liquid for measuring the salt content in as fast as 3 seconds. The probe may be inserted directly into semi-solid food. However, measurements at different locations may be inconsistent, and such direct measurements may vary from measurements by dilution methods. Contact ATAGO for salinity measurements of semi-solid food, such as meat and cheese.